Come explore Sarpy County’s past at the Sarpy County Historical Museum. It is over 4,000 square feet and houses exhibits that encompass local history from the time when its original inhabitants freely roamed the Plains to the present day thriving metropolitan area. It offers terrific opportunities for both teachers and students to learn about local history. We are pleased to partner with local schools to provide tours to fourth graders every spring. We also offer tours to other groups such as cub scouts or even just a group of your friends. Free admission is made possible, year round, through the generosity of our sponsors and museum patrons. We are open Tuesday through Saturday from 10 a.m. until 4 p.m. The oldest still standing train depot in Nebraska is adjacent to the museum. It was built in 1869 and relocated to its present location in 1987. It was built by the Omaha Southwestern Railroad and later served as the Burlington Railroad depot. 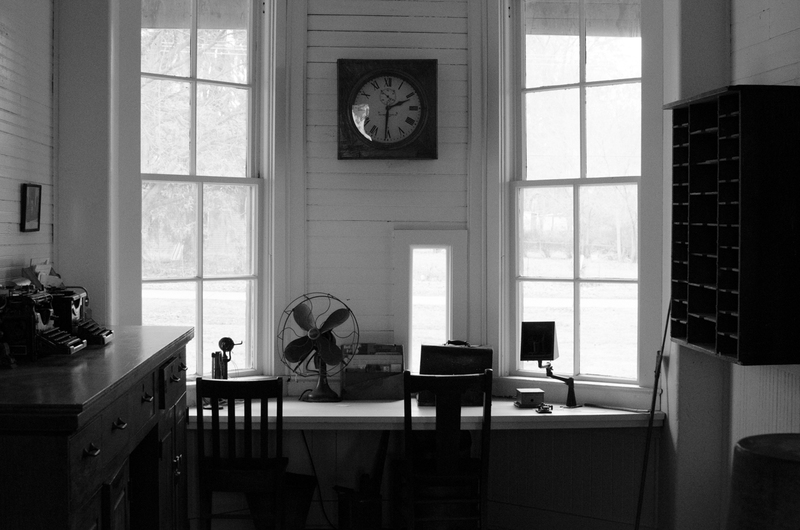 The depot has been restored and features a pot belly cast iron stove, morse code telegraph keys, and other artifacts that highlight early railroad history in Sarpy County. Tours of the interior of the depot are available. The depot compliments the Sarpy Caboose, which also sits on museum property. This 1960s era caboose was relocated to the museum in 2014. Efforts to restore the caboose are underway. Once completed, the inside of the caboose will spotlight railroad history in Sarpy County during the twentieth century. While restoration is in process, visitors will not be able to enter the caboose but can still get an up close look. History can be experienced off the museum site by visiting the numerous historical sites located in the area. The Sarpy County Museum, in conjunction with local government, oversees and offers tours of many of these sites. 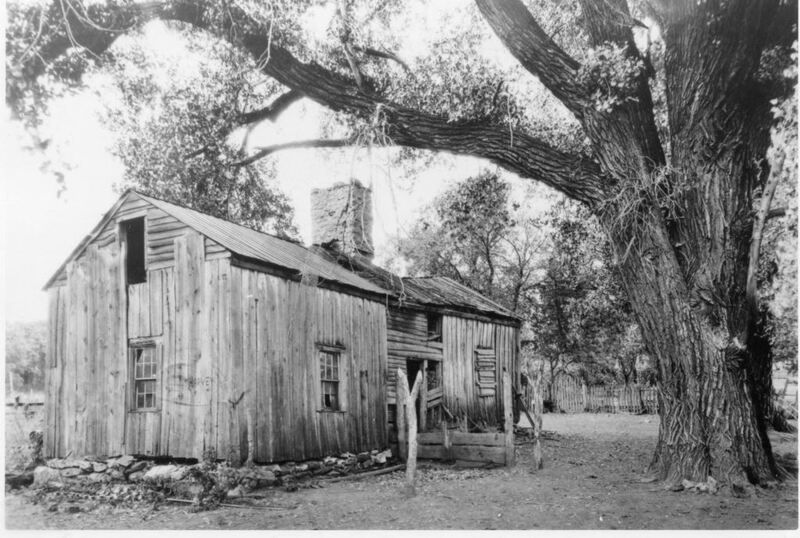 The Old Log Cabin is located at 1805 Hancock St. 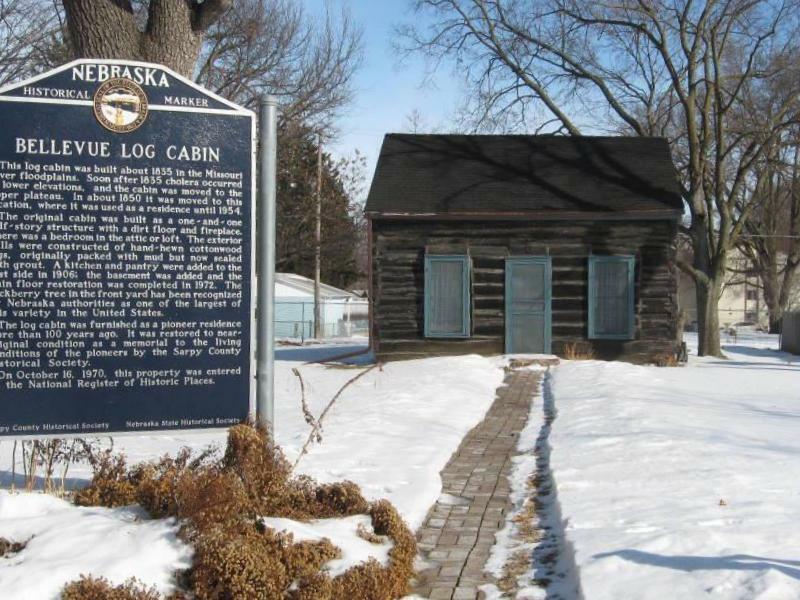 The Bellevue Log Cabin is regarded as the oldest building in Nebraska. According to local legend, it was constructed between 1830 and 1835 as a part of the Jacob Astor Fur Trading Post, near the Missouri River. It has since been relocated twice and is presently located at 1805 Hancock Street in Bellevue. The cabin was constructed from cottonwood logs measuring nearly a foot thick with Indian lodge pole style rafters, and has been restored to near original condition. The Sarpy County Historical Society purchased the property in 1954 and it was placed on the National Register of Historic Places in 1970. The Old First Presbyterian Church is located at 2002 Franklin Street. Construction of the church began in 1856 and by 1858 it was ready for services. 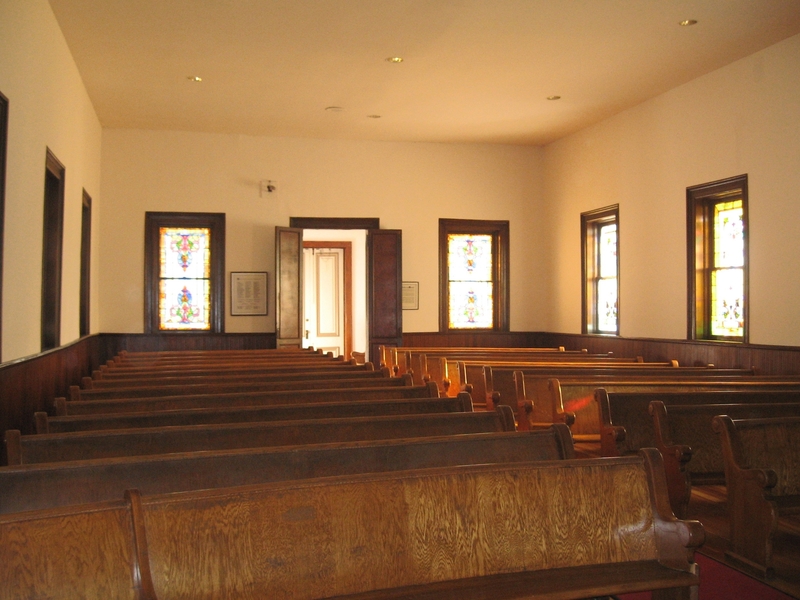 Over the years, several small additions were made to the church with perhaps the most noticeable being the vestibule and spire in 1870 and stained glass windows in 1905. These stained glass windows and its beautiful wood floors make it a popular venue for weddings. The Old First Presbyterian Church is listed on the National Register of Historic Places. The Fontenelle Bank, also known as the Fontenelle Courthouse, is also listed on the National Register of Historic Places. It was built in 1857, but failed shortly thereafter due to the Panic of 1857 and their “wildcatting” banking practices. Over the years has been used for a variety of purposes. It was a bank for only a couple of years then used as a courthouse and city hall. The second floor has a ball room while a walk-in vault, 1867 stove, 1880 vault, among other treasures are found on the first floor. A fireplace and chimney are all that remains of the original structure that stood on the Moses Merrill Mission site. This site is also listed on the National Register of Historic Places. It was here that in 1835 Moses Merrill established his mission and began his efforts to convert local Indians to Christianity. According to local legend, the massive cottonwood located in the southeastern corner of the property was planted by Moses himself. The site is located southwest of Bellevue, just north of where La Platte Road curves north and turns into South 56th Street. The Moses Merrill Mission Site as it appeared in 1922. 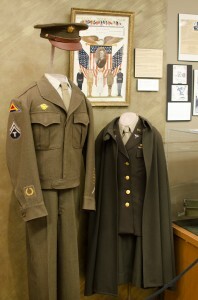 To arrange a tour of any of these sites, call the Sarpy County Museum at (402) 292-1880. Advanced notice of one week is preferred, but, special arrangements may be possible with 24-48 hours advanced notice. Can anyone tell me where the town of Portal was in Sarpy? I know it was around the area of 108th and Portal road close to the Portal cemetery. I’m looking for the spot of the school house that’s now at the Papillion Library. I KNOW WHERE THE Portal School was at. It is marked on the 1920 Atlas. It was closer to 108th & Giles at the original spot. Will the County Museum sponsor an arch logical excavation of Julius Fricke and the other 4 grave sites (Julius was buried in 1863 in a private grave site and I think a total of 5 plots were used). I think Julius should be exhumed and buried with his son, William Fricke, in the Portal Cemetery. The land where the graves are at are still in private hands and this should be done before any development it done on the site, which someday it will.